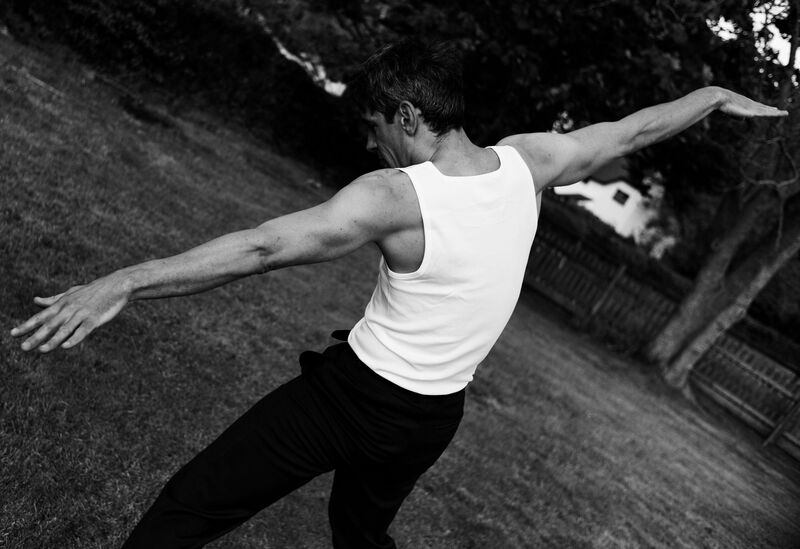 In collaboration with The Crown Estate, National Trust Holnicote Estate and Porlock Manor Estate, Stacked Wonky Dance has created five site specific dance encounters for five different sites in and around Porlock Vale. The seed idea links to the crash of a Liberator, an American bomber, on Porlock Marsh in 1942 when 11 people lost their lives and one person, a staff sergeant, survived. Performances will take place in a variety of spaces – glade, field, barn, hilltop and marsh – and will be seen at different times of day. You can watch just one or all five as they unfold over the summer, culminating in a finale on Porlock Marsh on Friday 18 and Saturday 19 September. As part of a small group, you’ll go on a walking journey, perhaps in daylight, perhaps at night, as the action plays out around you. You’ll encounter a tilted, sometimes extraordinary world in which the unexpected often happens as movement, sound, shadow, weather and audience combine. Don’t worry, you won’t be expected to do anything, certainly not dance (! ), just follow the performance as it plays out. Two years ago, Sarah Shorten, Artistic Director of Stacked Wonky Dance moved to Bossington with her husband and young family. During this time, Sarah inevitably turned her attention to the world just outside her back garden. She was drawn to Porlock Marsh, which is how the idea for Liberator was born. After talking to local historians and residents, she gradually realised the crash’s recurring themes of loss, sacrifice, survival and childhood excitement about the war might be captured in a series of performances that return all fragments of the story to the Marsh. Sarah has joined forces with Duncan Hume, an ex-Royal Ballet professional dancer living in Luxborough, and four children aged 5 to 8 from Timberscombe School. All will perform in Liberator. The project also involves a wide and eclectic team of local collaborators – including designers, costume makers, photographers, sound artists, National Trust rangers, foresters, tenants and technicians – without whom Liberator would not be possible. 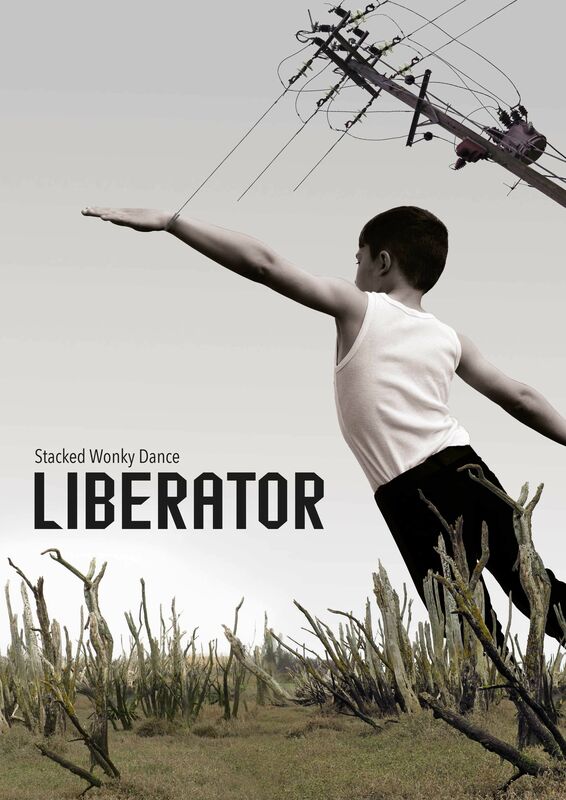 Through Liberator, Sarah wants to show audiences what’s possible when dance heads away from the stage. In addition, she is keen to continue to engage with those in local community for whom the Liberator crash and its legacy remain strong. “A long-range bomber, transport and reconnaissance aircraft, a Consolidated B-24 D Liberator with four 1,200 hp radial engines, a wingspan of 110 feet, a length of 67 feet 2 inches, a maximum speed of 300 mph at 30,000 feet and a range of 2,100 miles crashed on the marsh on 29th October 1942. It carried a crew of twelve and had ten .50 machine guns. This particular plane, which was helping RAF Coastal Command, took off from Holmsley, South Hampshire at 7.20 am on 29th October to fly on anti-submarine patrol in the Bay of Biscay. When it was returning at about 3.30 pm it was seen by two boys, Alan Perkins and Brian Richards, to hit a point near the top of Bossington Hill and swing round. Pieces fell off: a wheel and part of the undercarriage landed at the bottom of Sparkhayes Lane, and the rest of the plane crashed on to the marsh. The weather was dreadful: it was a very wet day with low cloud all around. Only one man, S/Sgt H.B. Thorpe, was still alive. Very little of the plane was seen by local people as its remains were salvaged within a few days. Liberator has also received support from A Vision for Porlock Marsh, a project led by Porlock Parish Council, working with the local community, landowners and agencies, to help raise of awareness of Porlock Marsh and enhance its role as an asset for the local community, businesses and visitors, including encouraging events and activities inspired by the Marsh. “A dynamic, constantly changing landscape of salt marsh, brackish water, grassy paths, crumbling stone walls and muddy ditches, tucked behind a massive sweeping shingle ridge. Stacked Wonky is a contemporary dance company which has, for the last ten years, built its reputation on a desire to make work in unusual places for an audience unfamiliar with dance. The company specialises in creating site-specific dance performances, many of which are performed in unique outdoor spaces and landscapes. Sarah Shorten, Artistic Director, has created work for a diverse set of spaces including Trafalgar Square, The Museum of Childhood in collaboration with the V&A Museum, and Tinside Lido in Plymouth. Her work has been supported by various organisations such as Arts Council England, Greenwich & Docklands International Festival and Dance South West.